Since a number of Mega forms are from Kanto that makes sense. Curious how they'll put the stones in the game. I could possibly see Megas coming into Go at some point as a result of this tbph. Surge will have 3 mons in this game though. One of the pics in the scan shows what looks like 3 pokeball icons, and remakes have deviated from rosters that characters originally had. Well, as long as it can be challenging, just no Emolga's with Static. What is an Emolga? . You know that was rhetorical right? Eevee gets moves for its 3 types and Pikachu gets a not surf. Also, looks like HMs are gone still which I do welcome. HMs were donion rings after gen 6 anyway. Also Celedon Game Corner being an arcade... sure, though it's likely they did it due to real-world gambling laws in Europe. They were, but with only 2 games and this being a half remake of Gen 1 made it a question of it being something we should expect going forward. I'm curious if we'll be able to play games there still. Imo, we should expect HMs to never be a thing again. I reckon we might be able to, otherwise the people sitting at them would taunt us. Am I insane, or did they just advertise HMs as a new feature? 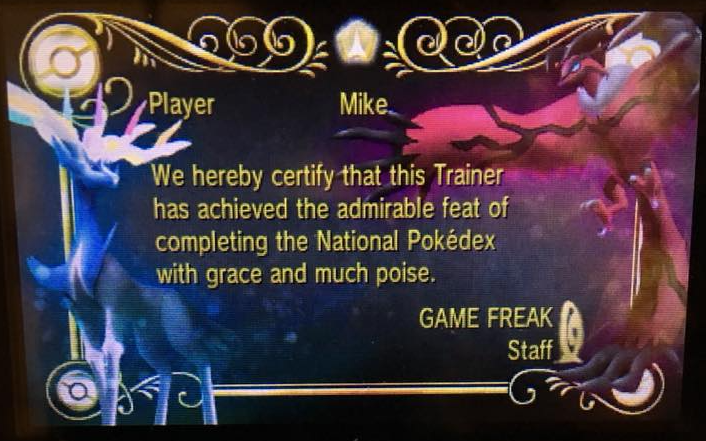 That only Pikachu and Eevee can learn? In a surprising turn of events, what may very well be the new Pokémon has appeared to have leaked in the network traffic of Pokémon GO. At present we don't have details for this Pokémon but will provide full details as and when they come. Wasn't expecting that. Looks interesting. Curious to see where this goes. I wasn't expecting that either, and my immediate thought was that it looked like something from Banjo Kazooie. So, looks like the new Pokemon is showing up in Pokemon Go. Which, honestly, is one of the coolest ways to show off a new Pokemon that is going to be in a game tied to it. Seriously, if you didn't know about it and suddenly came across it that would be so freaking cool. From what I've seen, the Pokémon ends up becoming either a Ditto or Chikorita (due to the Community Day event). Nevertheless, if this happens to be the new Pokémon that Pikachu and Eevee were hinting at before, then this is pretty interesting. 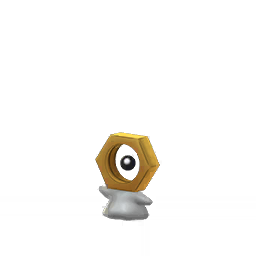 So the new Pokemon is named Meltan (the Hex Nut Pokemon) and is a steel-type. It is also classified as a mythical Pokemon.